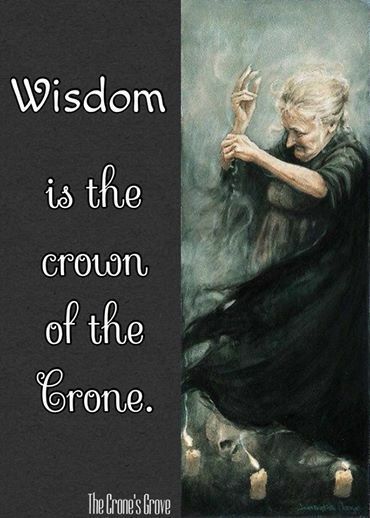 The archetype of the Wise Old Woman (Crone) is an important one both in our dreams and in the mythologies of the world. She is the psychic energy counterpart of the Wise Old Man, imparting feminine wisdom from age and the ages. Ideally, our world should have both energies functioning in the wonderful harmony of yin and yang among the female and male elders of our society. In an age of patriarchy, this archetype is often oppressed because it rises up to challenge male energy when the Wise Old Man’s shadow side and negative characteristics become particularly strong or dominant. This oppression can be readily seen outwardly in the world around us with the subjugation and second class treatment afforded to women in so many places, and especially where wise feminine style leadership is needed to bring balance and harmony. Inwardly, it can be seen in our dreams if we dream of a woman, especially an older one, being oppressed or neglected. It is not surprising that in all the photos of Donald Trump’s family you do not see a female counterpart to Donald Trump. It is very telling. This lady should be the emerging matriarch, possibly to become the matriarch of the Republican Party. And what is even more telling is that the current reigning matriarch, Barbara Bush, recently came out in a TV interview as being against Donald Trump. She echoed so many women’s concerns when she asked what woman would want to vote for him? It makes you wonder what wisdom of age and the ages will be missing if Trump becomes president? Wake Up America! This entry was posted in Feminine Consciousness, On Dreams, Uncategorized and tagged archetype, crone, crone wisdom, dreams, elder wisdom, Republican, wisdom, Wise Old Woman, yang, yin. Bookmark the permalink.